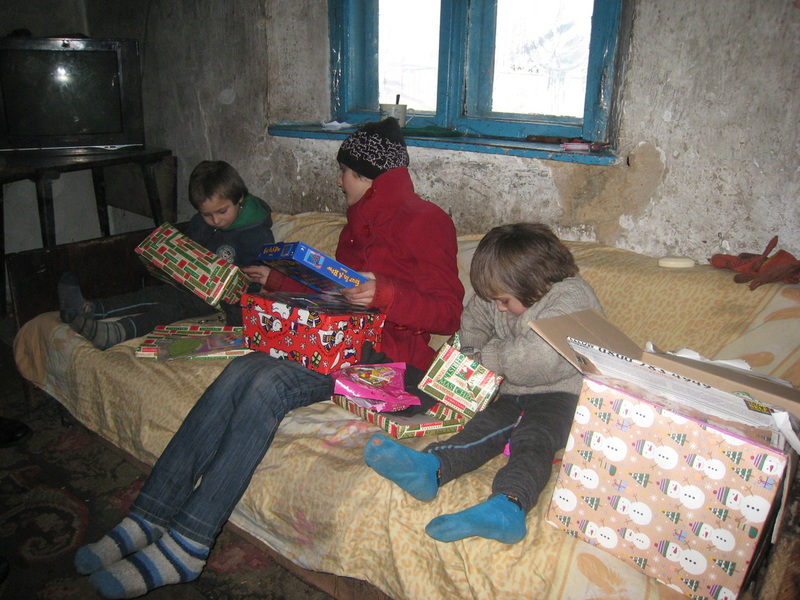 TEECH traveled to Romania and Moldova to deliver over 1,600 shoebox gifts and food parcels. To read an account of the trip please see the January 2014 newsletter. 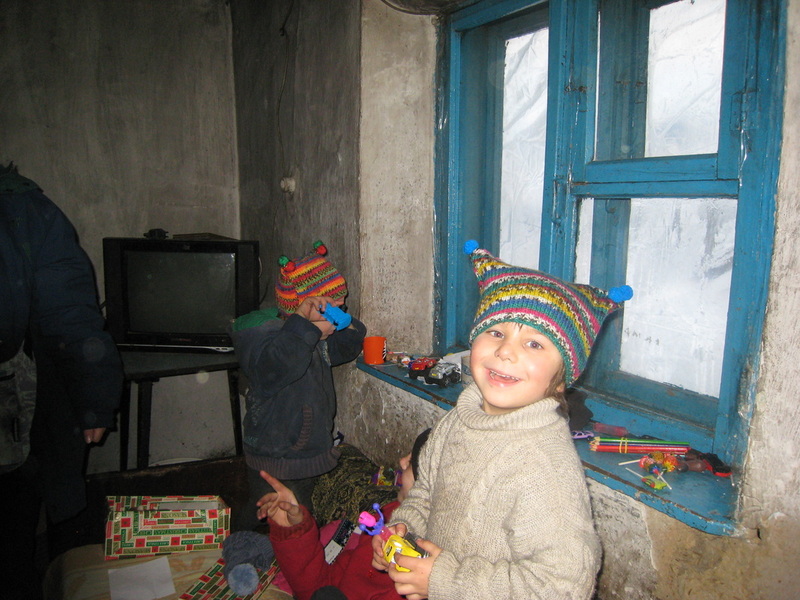 The charity traveled to Eastern Europe after the UK Christmas arriving to celebrate with the Moldovans for their Christmas on the 7th January. We asked that a donation of £1 per box was made to help with the transport costs. Donations can be made online - please use the MyDonate link below. Thanks to those who were able to donate. The poster below provides more information if you are interested in helping next year. 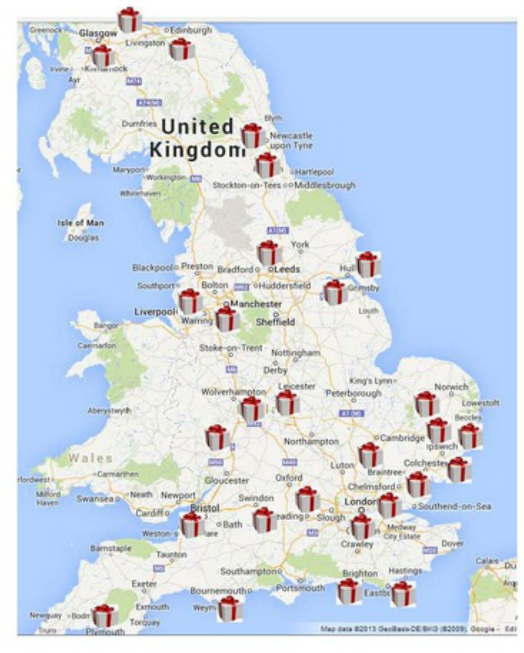 The map shows the approximate locations of those who have sent us boxes. Thank you for your generous donations. Boxes will be delivered in Romania and Moldova, visiting as many people as possible in the key locations that we have planned into a short schedule. Let me introduce Tatyana, her twin boys and daughter. 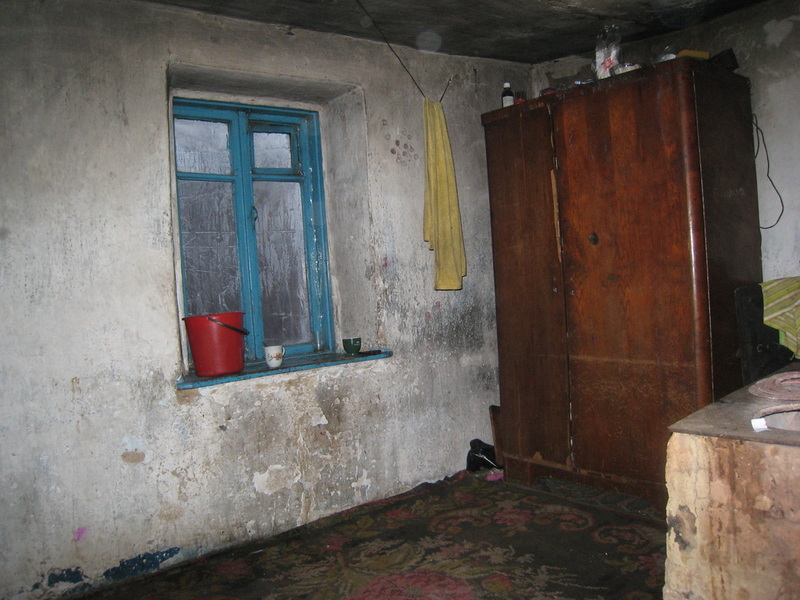 Tatyana is a single parent living in a small building most of us would not even enter as it does not look safe let alone habitable but they call it home, and for many in Moldova this is reality. Please take a few minutes to look properly at the pictures below.....look at the walls, the floor, the furniture (what little they have) and what you think is a sofa but acts as a bed for the children too. 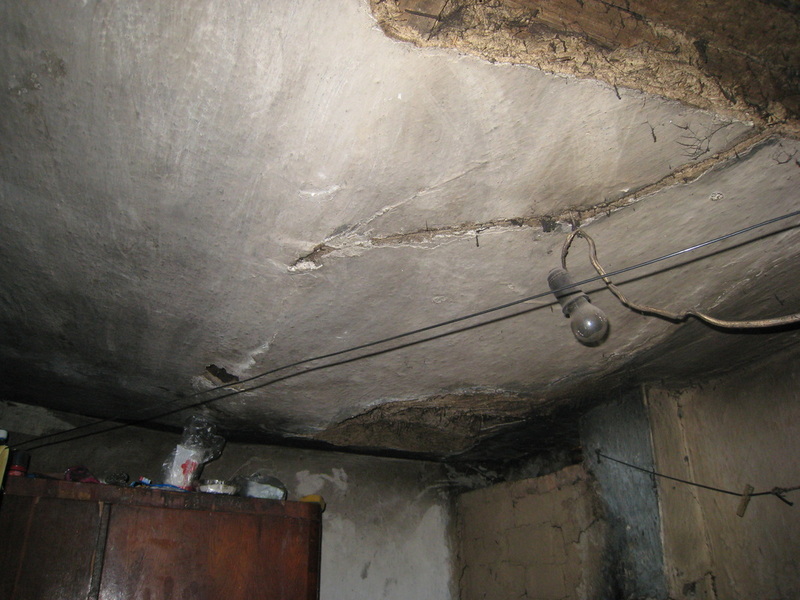 You will see light bulbs and a tv but on our last visit the electricity was not switched on because they could not afford it. 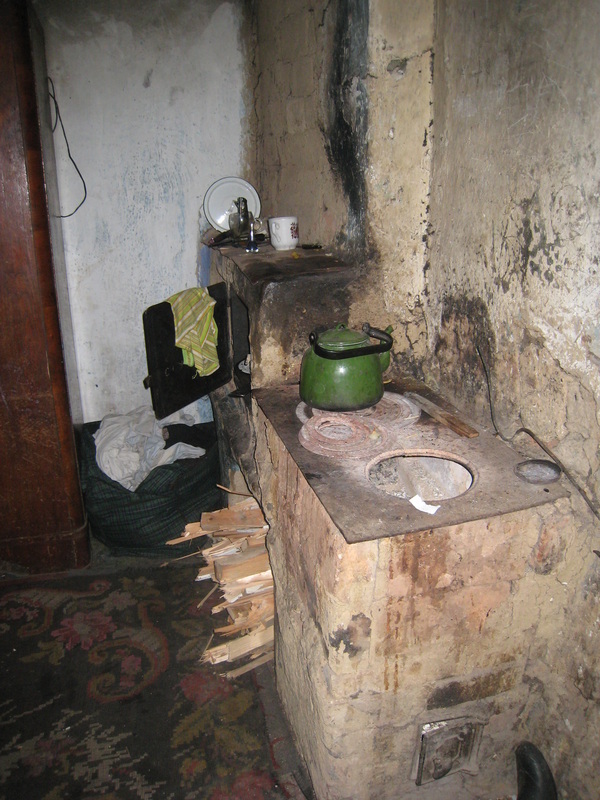 Now decide whether you can spare a small donation to help us help families like these, especially at Christmas when it can be minus 30 degrees in Moldova. We visit these families in their homes to ensure the shoeboxes and food parcels you hand to us, we hand onto them, knowing that what you give goes to those who need it. We also, where we can, provide blankets and clothing. We would like to thank you for donating any items you can, and especially for any cash donations you can provide to help us transport the aid to Eastern Europe.